Corporate Movers & Packers is India's largest independent international relocation company handling around 600 international relocation moves every year, a testimony to our reputation as the market leader for international removals by returning nationals, expats, migrants and employees on corporate secondment. At Corporate Movers & Packers our international relocation service enables us to ensure that all your possessions are delivered on time and in perfect condition. Corporate Movers & Packers go out of their way to fulfil these objectives and in the last 15 years we've assisted more than half a million households relocate quickly, efficiently and with minimal fuss. relocation services are available worldwide, including third country locations. We provide relocation services either delivered through Corporate Movers & Packers, or managed by Corporate Movers & Packers and delivered via our network of approved relocation service providers worldwide. In every location, we work with those relocation service providers we consider to be best in class. Relocation service providers are measured against stated key performance indicators that are consistent with our own core values. With our branch network worldwide, ensuring that your belongings will be handled carefully and professionally from start to finish. 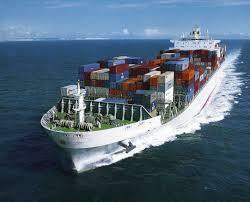 Corporate Movers & Packers was established in the year 2003. We are the leading Service Provider of National Packer Mover Service, International Packer Mover Service, Local Packer Mover Service, Office Shifting Service, Factory Shifting Service etc. We are amongst the most reputed companies in India providing you at your doorstep speedy, efficient, cost-effective and reliable movers packers services, relocation and related logistics services in different parts of the country. Our head office in Gurgaon, Corporate Office in Mumbai and branches in all major cities of India including Bangalore, hyrabad, Chennai, Kolkata, Guwahati, Nagpur, Ahmedabad, Surat, Noida, Faridabad, Punjab, Badodhra manages comprehensive packers and movers solutions to meet the transportation and relocation needs of our clients in different parts of country. Whether it's a household move, office move or corporate relocation, we are packers and movers that focus on the customer'sneeds.